Keeping your website updated with something NEW regularly will attract visitors to come back again if they are interested in your products or services. However, this might be something that you as a sole trader, entrepreneur or small business owner don’t have time for. – You love what you do and you are great at it and simply dont have time for things like that. There are many solutions to this! 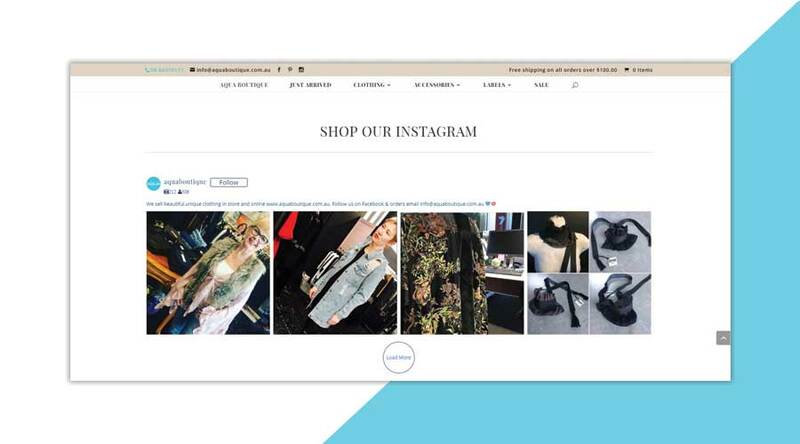 We suggest having your Instagram posts coming up on your website which makes it look like it was actually on your website and not coming from Instagram. This is a great way to keep your target audience interested and showing them more of what you have to offer and can do for them. If they click on the image or the icon above, they will be taken to your Instagram page and there they can like your posts. Get your potential clients interested in your products or services now! We are offering all WordPress customers an Instagram feed on their website for only $100! Instagram feed for the Drinking Games Messenger Bot. 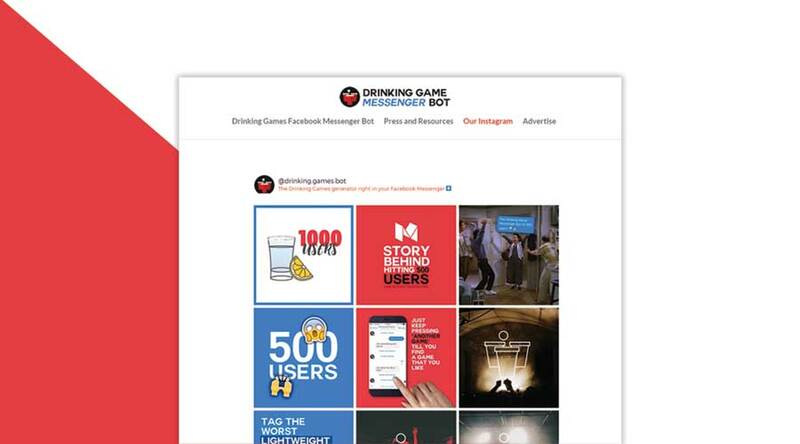 We’ve added three rows of Instagram images that are pulling directly from the company’s Instagram feed – as soon as the Drinking Games Messenger Bot update or post any Instagram content the website’s Instagram feed will be updated in real time. It will look like you are updating your website as often as you post. 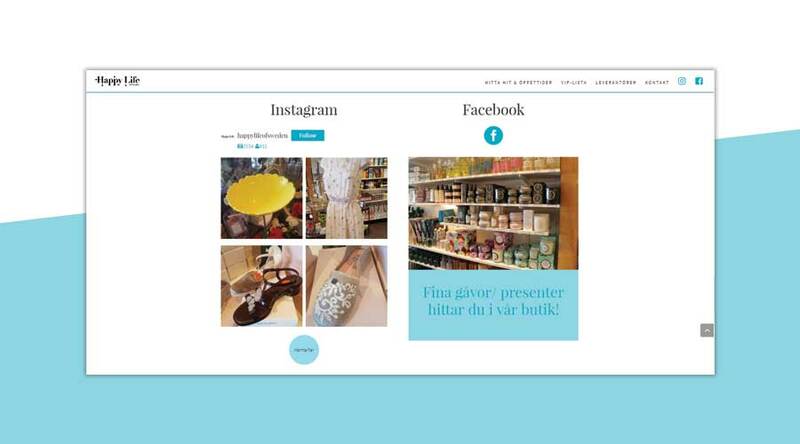 This is a great to keep the customers engaged on your website and hopefully drive sales. A lot of entrepreneurs spend time writing blogs for their website to get more traffic but also to engage the visitor. But adding a feed from your Instagram will give it a dynamic and fresh look without having to write content regularly. If you are looking for a super easy way to update a gallery page without even logging into a content management system or knowing any website development skills then an Instagram gallery page will change everything. Your gallery page on your website can be updated as many times per day as you wish! Are you a construction worker wanting to constantly update your portfolio? Or are you a fashion boutique wanting to show off your gorgeous clothes in an app that you are on every day anyway! Then the solution is clear – we set up an Instagram post feed on your gallery page! We login to your WordPress website. We login to your Instagram or you send us an API key, whatever suits you best. You tell us on what page you want your Instagram feed. You can have your Instagram feed on multiple pages for only $25 extra per page. You tell us how many Instagram posts you want to be visible.